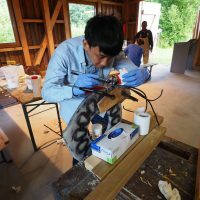 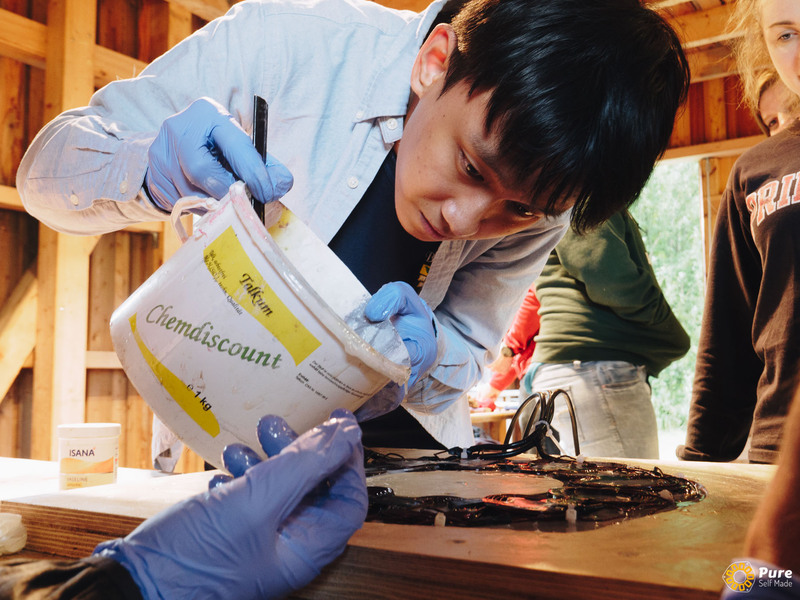 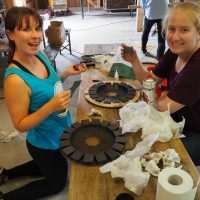 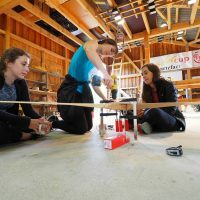 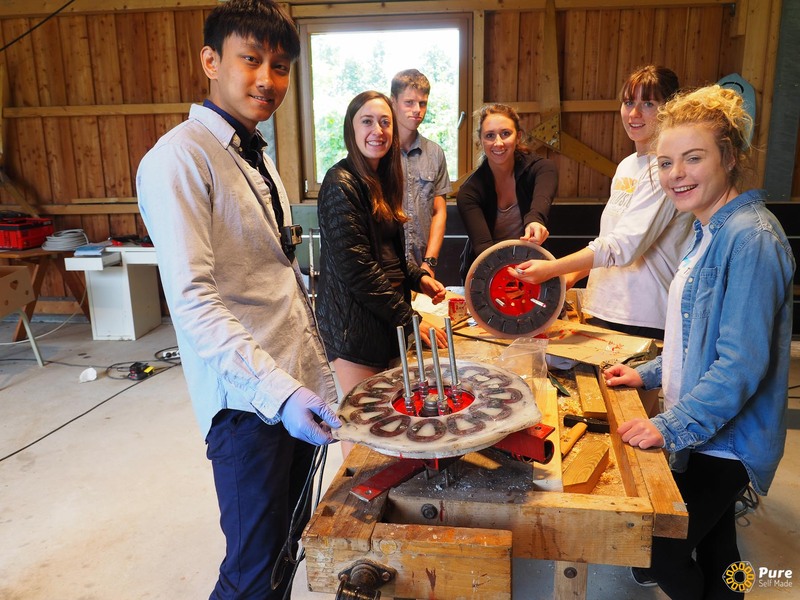 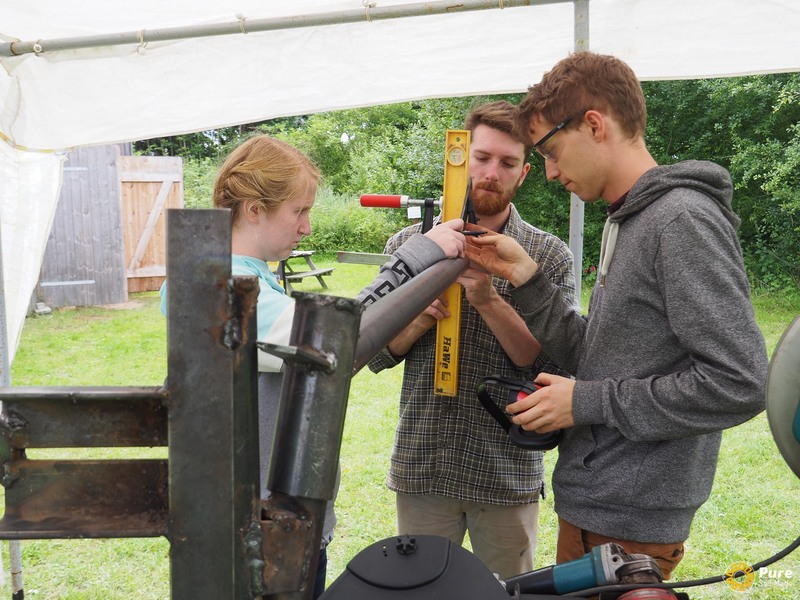 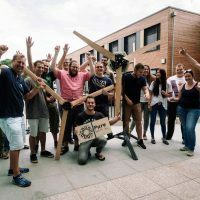 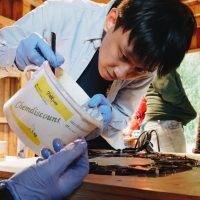 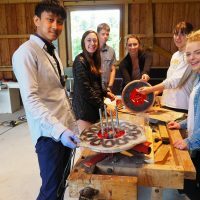 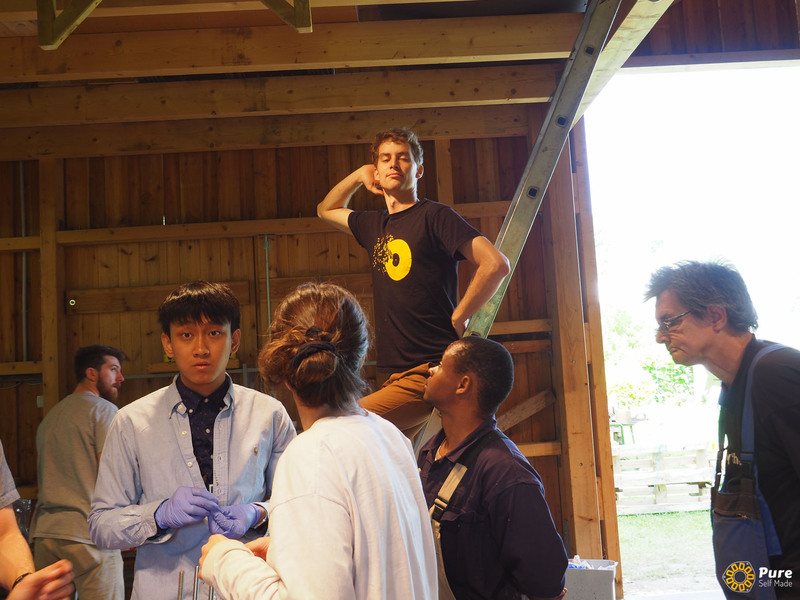 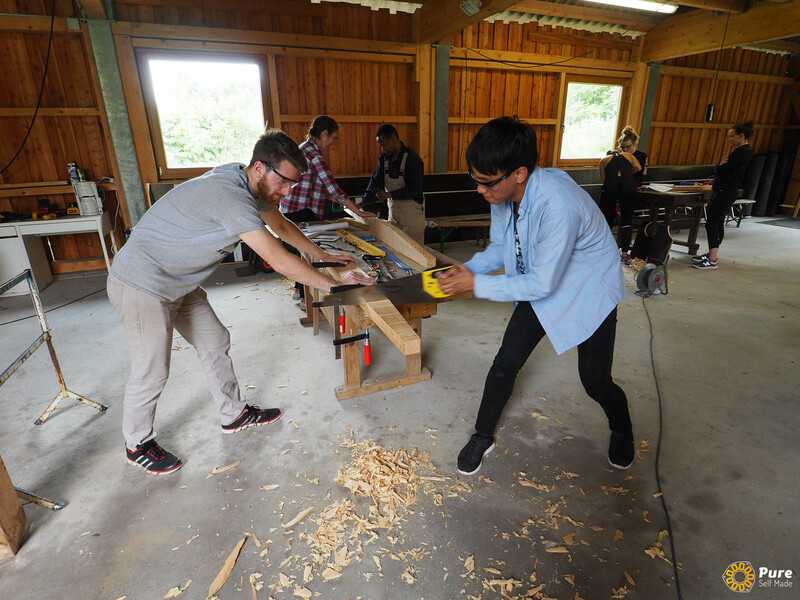 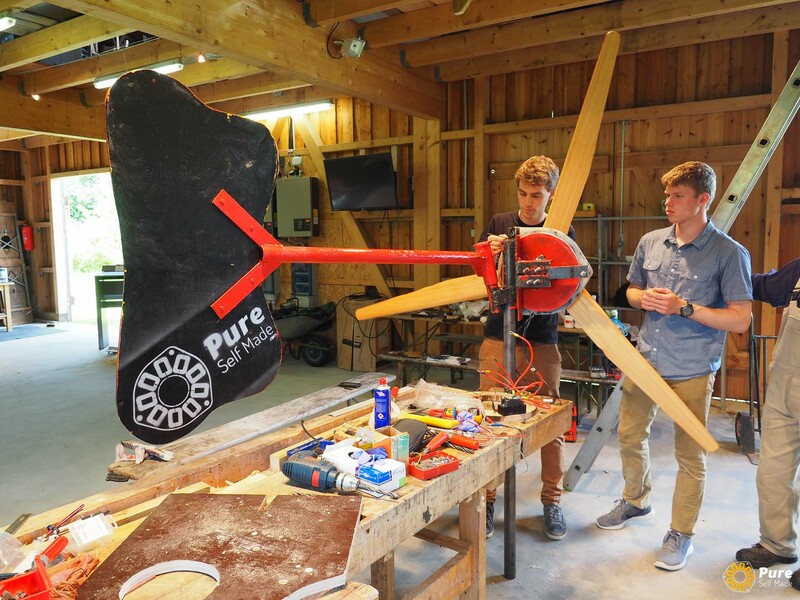 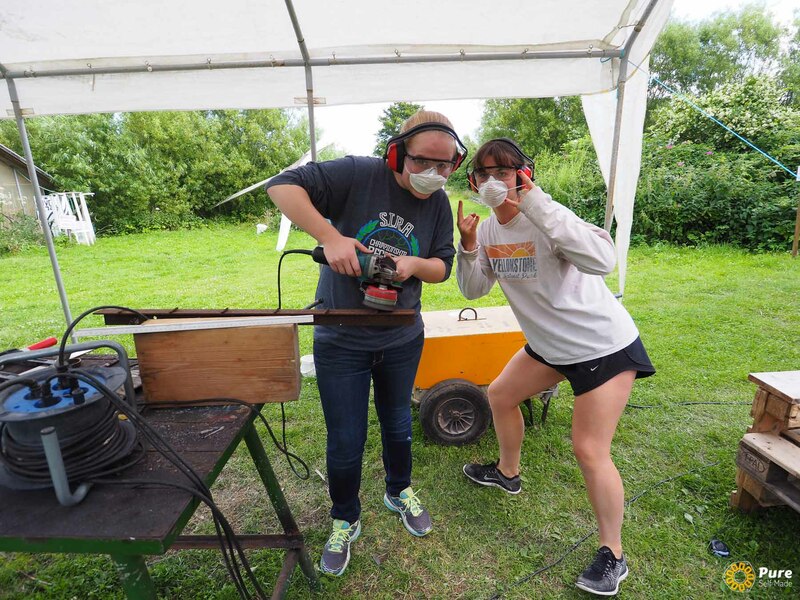 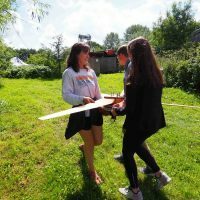 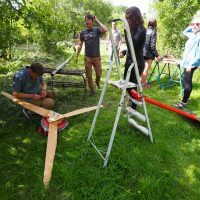 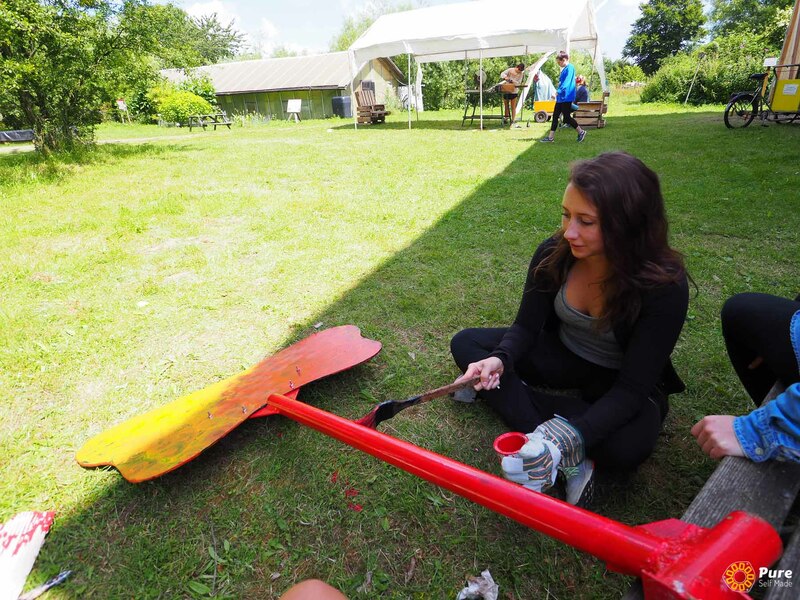 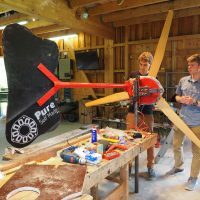 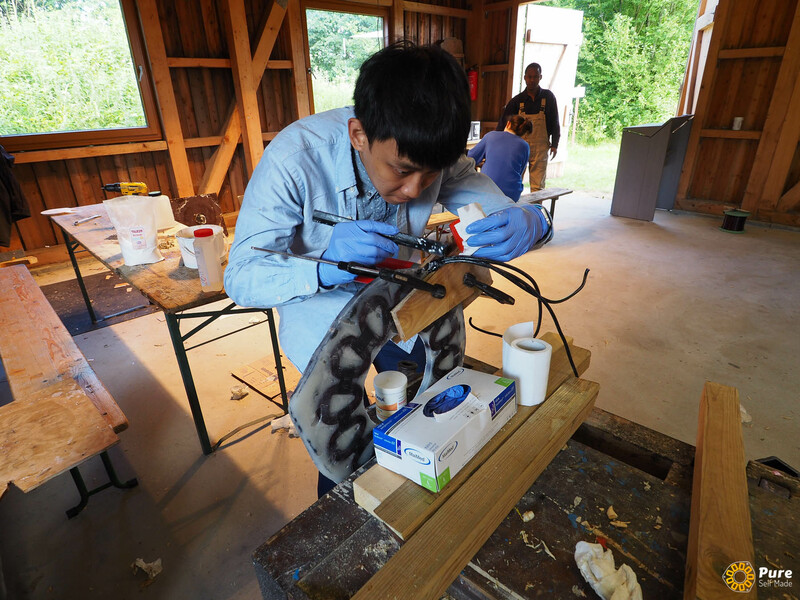 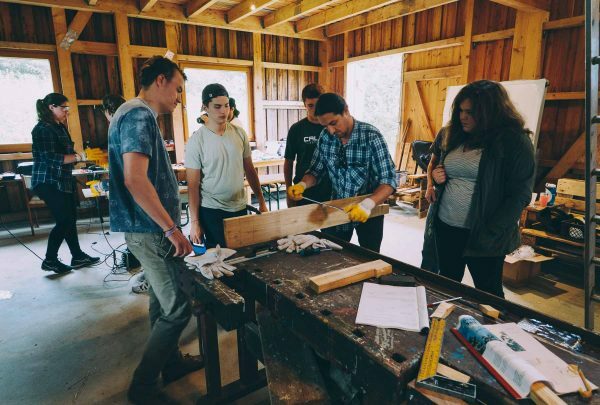 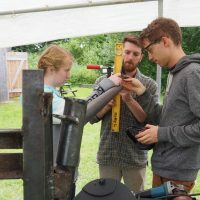 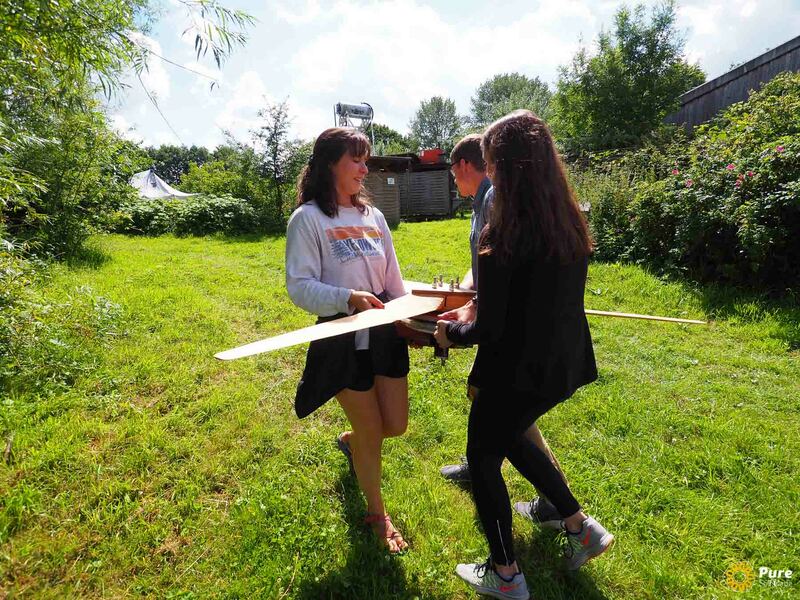 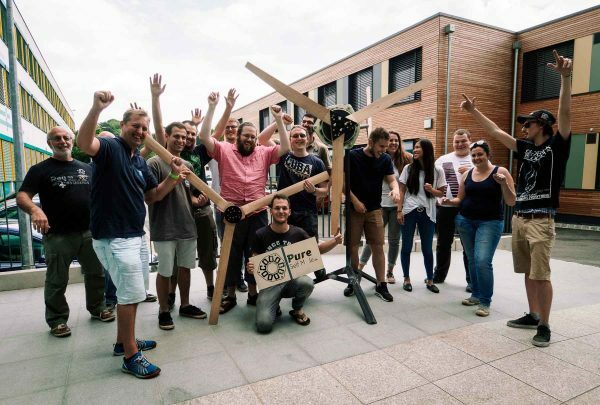 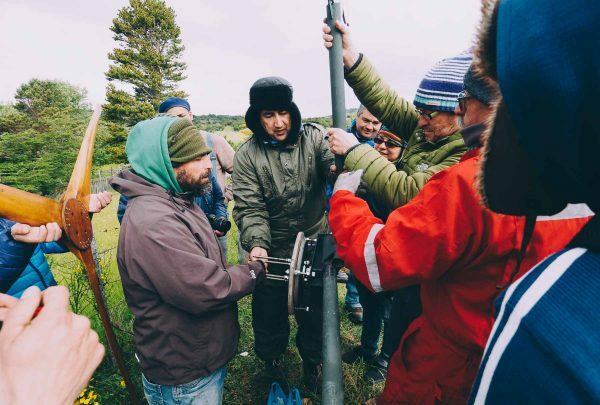 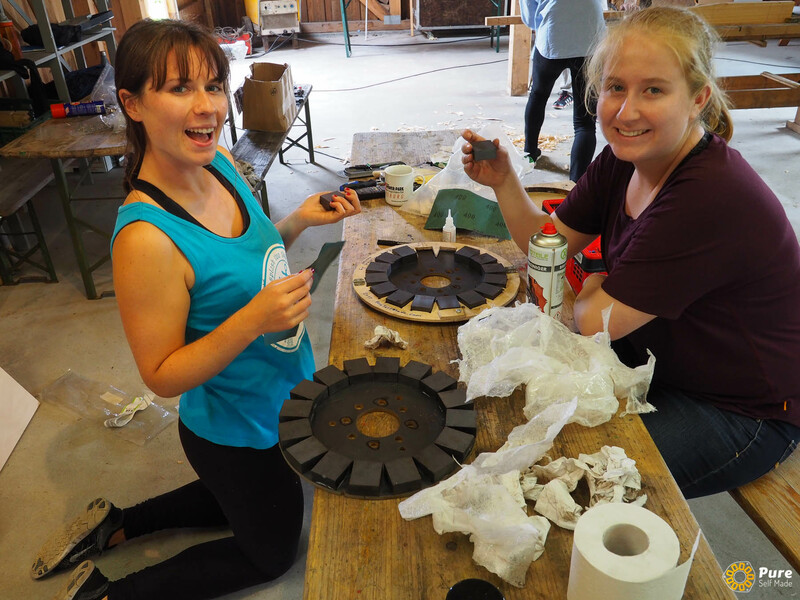 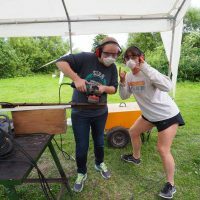 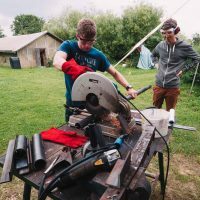 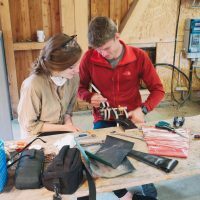 For the third time we organized a hands-on wind turbine workshop at Artefact Glücksburg, again for American students from the DIS exchange program. 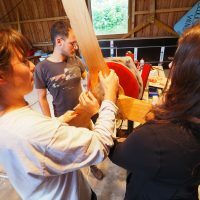 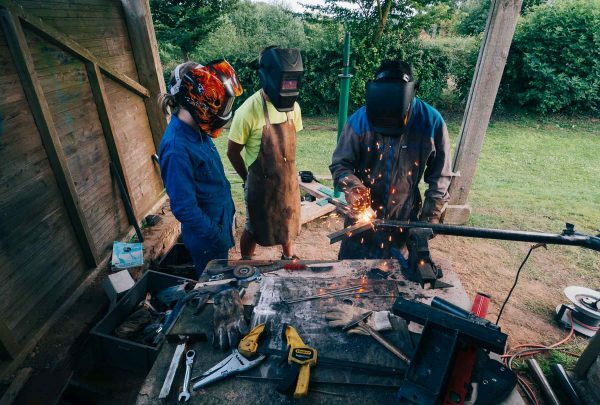 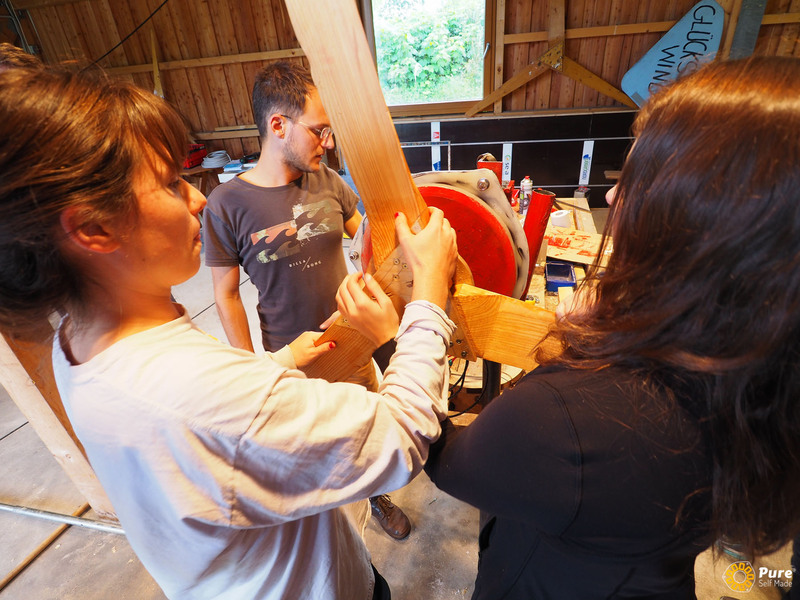 Artefact is a centre for sustainable development and technology that has hosted courses with us over the last 3 years, providing a nice and large workspace to build our wind turbine with the course participants. 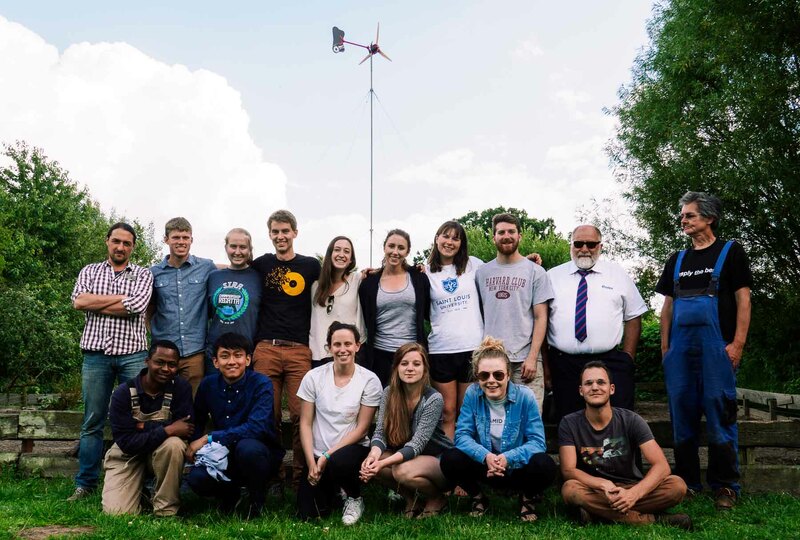 They where all students from the USA, participating in the european DIS exchange program. 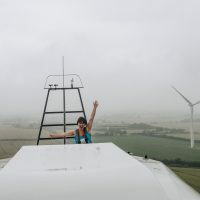 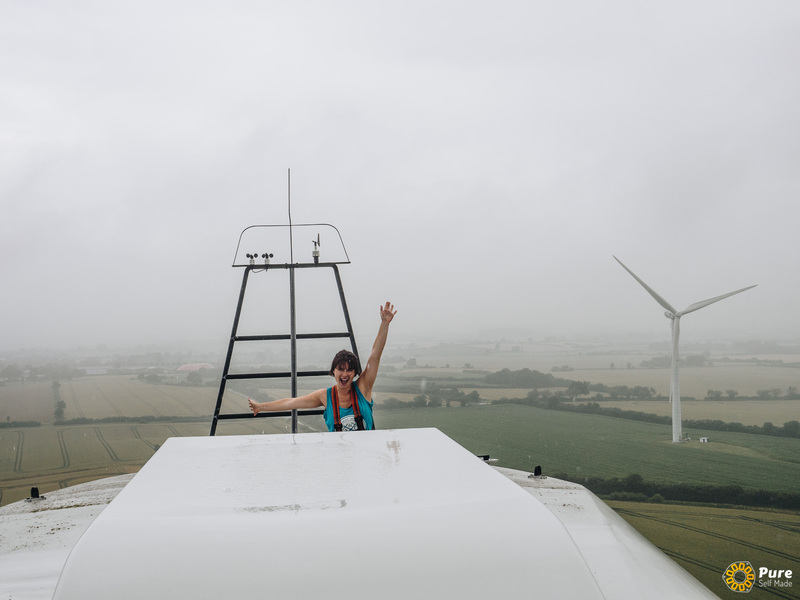 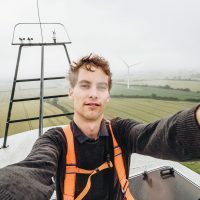 We started the workshop by climbing up a large wind turbine in a nearby village. 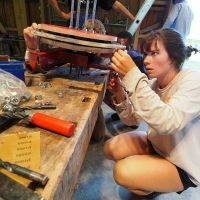 Very exiting! 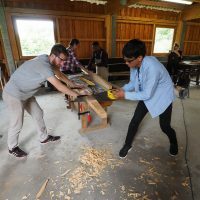 My good friend Elias joined this Workshop to support me teaching. 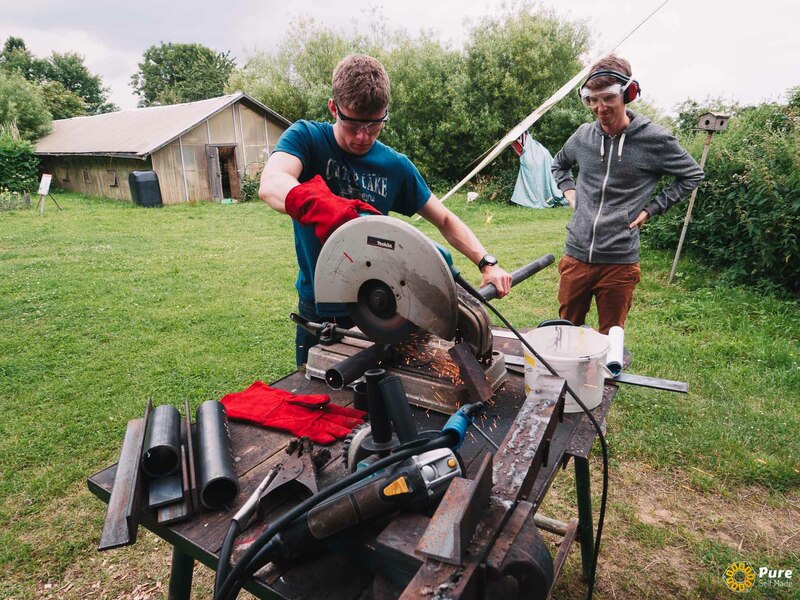 He has already been associated with many other PureSelfMade projects in the past. 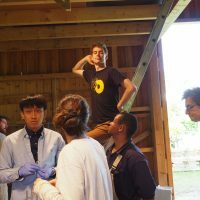 The group was mostly women, 7 out of 10 people. 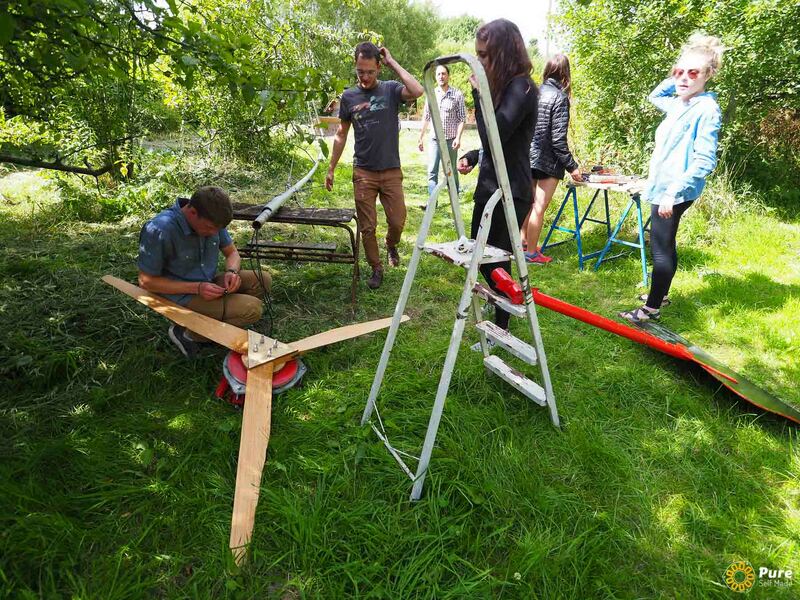 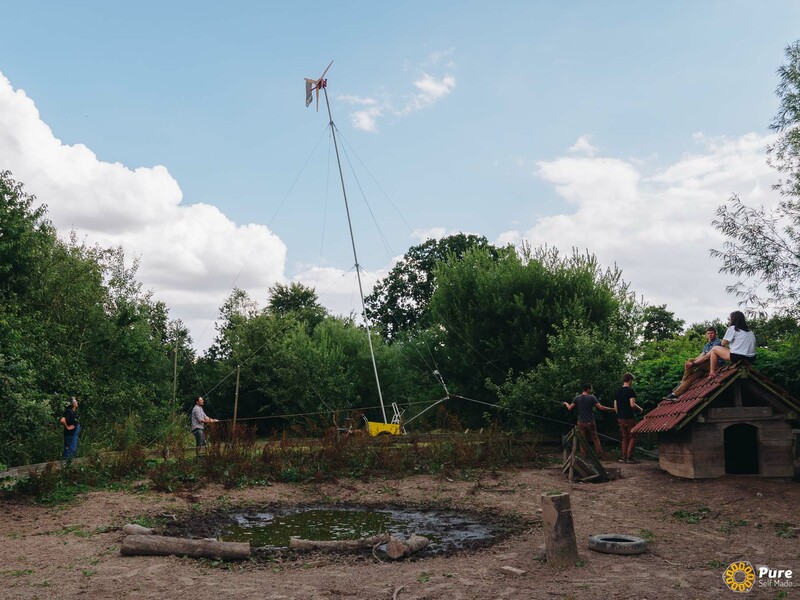 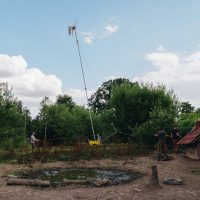 The wind turbine was successfully built and tested in the end at Artefact’s local wind turbine tower. 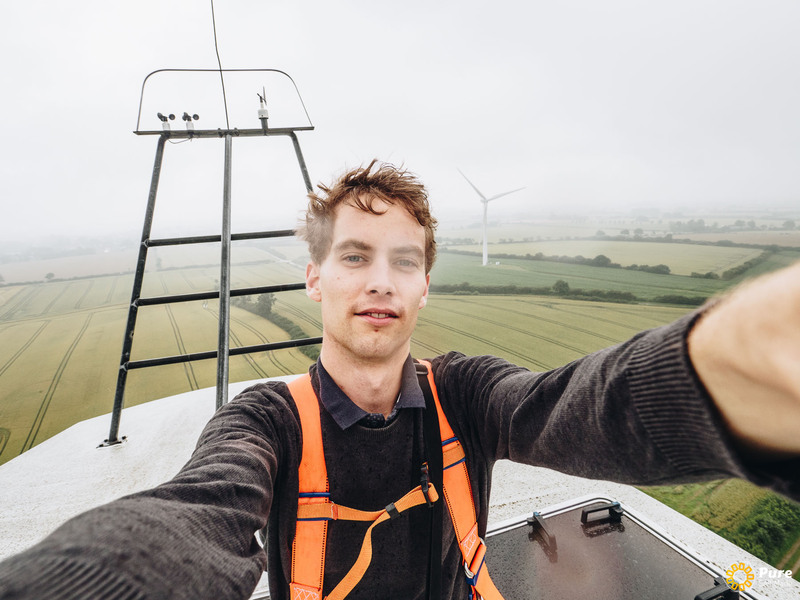 Thanks Elias for joining us!